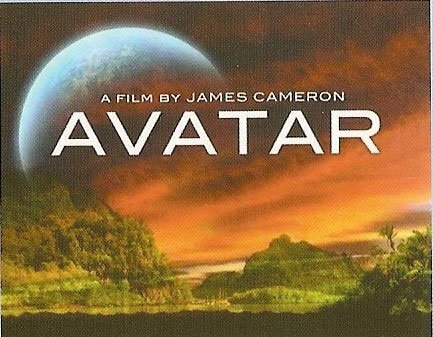 Simultaneously fantastical and firmly rooted in the historical here and now, James Cameron’s Avatar is both raw and lyrical as all good science-fi epics should be. With an array of unlikely Hollywood heroes irreverently shaking up the cookie cutter scenarios of blockbuster conventions, Avatar impressively substitutes meaning for mayhem, and nuance for plot-preempting sheer noise. Sam Worthington is Jake Sully in Avatar, a disabled marine and dejected wheelchair warrior yearning to have his mobility back, along with fulfillment in his life. So when the marine brass in league with a military industrial complex corporation collaborate on the Avatar, or alternate persona program that transports human consciousness into a born again, freshly buffed body, Sully goes for it. Though as he’s prepped for a kind of pre-traumatic stress syndrome ordeal, the gullible grunt slowly gets hip to his exploitation as a capitalist tool. Namely, in a historically deja vu genocidal mission to clear the distant planet Pandora of its indigenous population, the better to covertly plunder foreign turf for minerals already depleted on a dying planet earth. Let loose by his honcho handlers to essentially fend for himself on Pandora, the born again Sully goes native in lab-devised undercover tribal DNA, presumably to infiltrate, pacify and assist in an unscrupulous forest foreclosure and relocation of the unsuspecting Na’vi people. But in the process, wouldn’t ya know it, he’s afflicted with a serious case of jungle fever for the head digitalized princess, Neytiri (Zoe Saldana). A no-nonsense eco-friendly feminist woodland free spirit, Neytiri scolds Sully into mending his ways, and even teaches him a thing or two in a makeshift wilderness boot camp of sorts, about reverence for nature and opposing the duplicitous US military. His first project since Titanic, marinating for fifteen years and four additional years in production, Cameron held his creative chops in check till he felt futuristic cinematic technology only dreamt of at the time, caught up with his fevered imagination. The result is a visually breathtaking extra-terrestrial travelogue, but where the mystique may going a long way towards upstaging the message. Which is that rebellion against imperialism and the US war machine by oppressed peoples and even within the military is recommended, while for kid viewers, questioning authority is a good and honorable thing. Though parents might draw the line on the family home front, about that particular advice. In any case, anything labeled make-believe tend to be smoothed over, no matter how subversive the sentiments. Though a different sort of confrontation may be looming this awards season, as Cameron’s Pandora’s ‘box’ faces off during the yearly awards skirmishes, against ex-wife Kathryn Bigelow’s ‘Locker’ and the oppostional contents of that patriotic celebratory pro-war counter-programming.